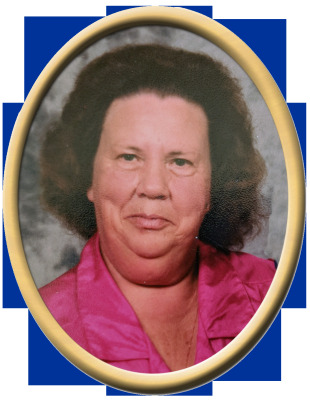 Alice Craig Cloud, 87, of Huntsville, passed away Saturday. She was preceded in death by husband, Fred Holliman Cloud, father, Delbert Craig, mother, Lydia Stapler Craig, brother, Clifford Craig, sister, Mary Magdelene Craig, and brother, Elmo Craig. Surviving are daughter, Brenda (David) Brackin, granddaughter, Stacie Brackin, great-grandson, Brody Brackin, brother, Eddie (Dolly) Williams, sister, LaFaye Craig, and several nieces & nephews. A special thanks to Kathy Thompson, Garland Payne and Carolyn West. Visitation will be Wednesday 4:00 PM to 7:00 PM at New Hope Funeral Home. Services will be held at New Hope Funeral Home Chapel, Thursday at 11:00 AM with Bro. Wayne Walls officiating. Interment will be in the Cloud Cemetery. "Email Address" would like to share the life celebration of Alice Craig Cloud. Click on the "link" to go to share a favorite memory or leave a condolence message for the family.